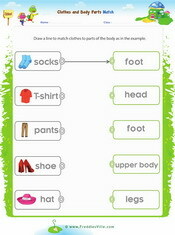 You will find exercises for teaching and reviewing clothes vocabulary and sentence patterns. There are tracing worksheets, crossword puzzles, word search puzzles, matching exercises and more. 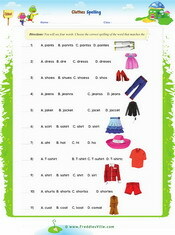 This is a clothes vocabulary multiple choice spelling exercise. 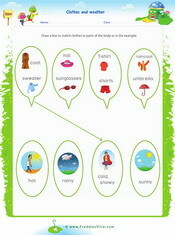 This worksheet focuses on improving your young learners’ writing and word recognition skills. 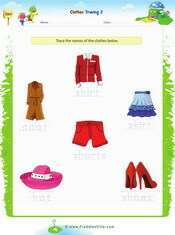 This is a matching exercise that helps to show the relationship between clothes and weather conditions.